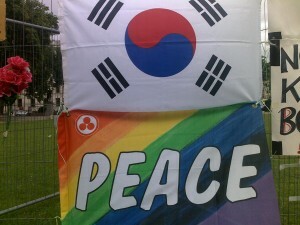 August 13, 2011, filed under HUNGER STRIKE KOREA; No Comments. "UNITY AND DEMOCRACY FOR KOREA"
Okhwan Yoon officially ended his hunger strike on day 41, Saturday 6th August 2011. It will take some time for him to build up his strength and energy, and to get back into full operational mode! There is no rush at the moment, as the emphasise must be that he fully recovers. He would like to extend his sincere gratitude to all the supporters and well wishers who have conveyed support for his cause. Also a thank you is given to local church Ministers who visited and prayed for him. We must keep an open and positive mind….remember, the Berlin wall did FALL! August 5, 2011, filed under HUNGER STRIKE KOREA; No Comments. 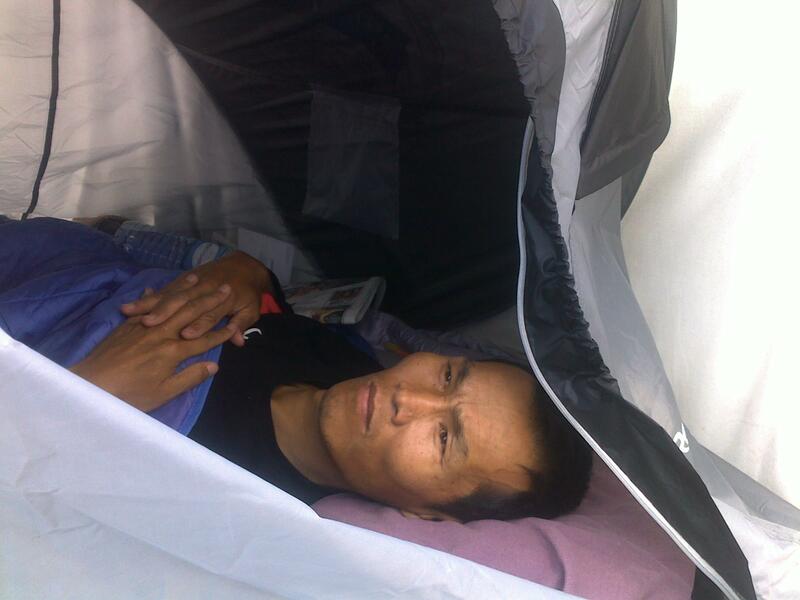 , filed under HUNGER STRIKE KOREA; No Comments. Petition into No 10 Downing Street. Petition handed in this morning to No 10 Downing Street, official home of the British Prime Minister David Cameron. Okhwan Yoon continues his “Hunger Strike for Peace” opposite St. Margaret’s Church, in the shadows of Westminster cathedral. During the day it is unbearably hot in his small insignificant tent that is lost in the array of similar tents along the pavement. 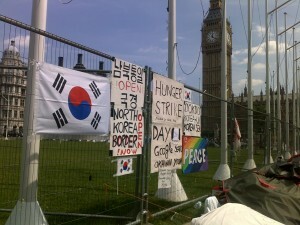 August 4, 2011, filed under HUNGER STRIKE KOREA; No Comments. 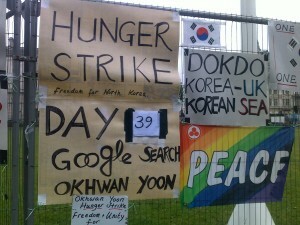 Day 39 of Hunger Strike for "Freedom and Unity in Korea". 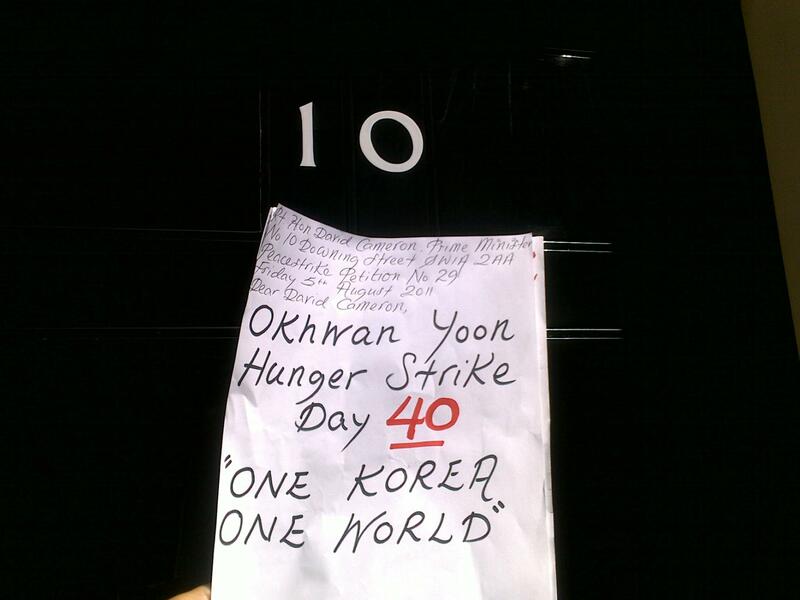 Okhwan Yoon is now on day 39 of his hunger strike outside the Houses Of Parliament, here in the UK. Years on a bike. Is it enough? Ministers from Westminster Abbey and the Methodist Central Hall are praying for Okhwan. 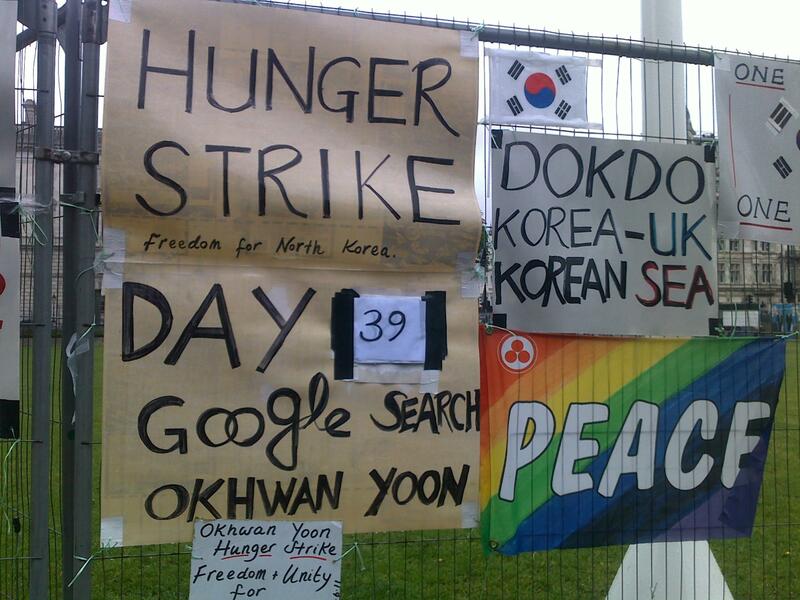 August 2, 2011, filed under HUNGER STRIKE KOREA; No Comments. 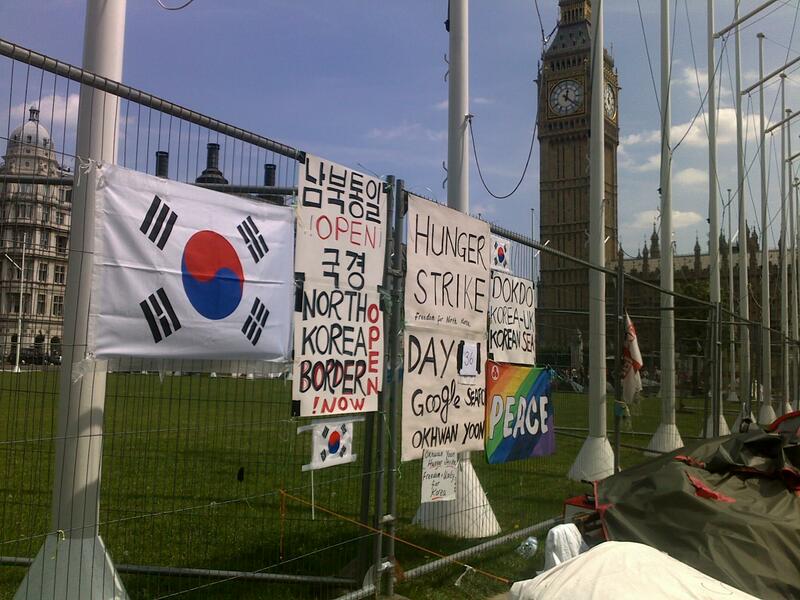 Okhwan Yoon has now been on hunger strike at Parliament square for 37 days. 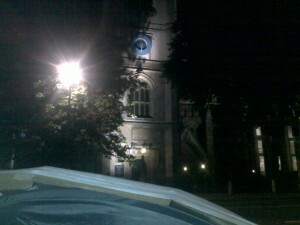 On Monday a Minister from the Methodist Central Hall came to visit him and offer comfort. They have been trying to contact a Korean speaking Minister but have had difficulty in doing so, due to the August holiday period, when so many people are away or are uncontactable. It is similar to the Tamil Protest and hunger strike in 2009 when the Government was on holiday and it was impossible to contact anyone in an official capacity. August 1, 2011, filed under HUNGER STRIKE KOREA; No Comments.